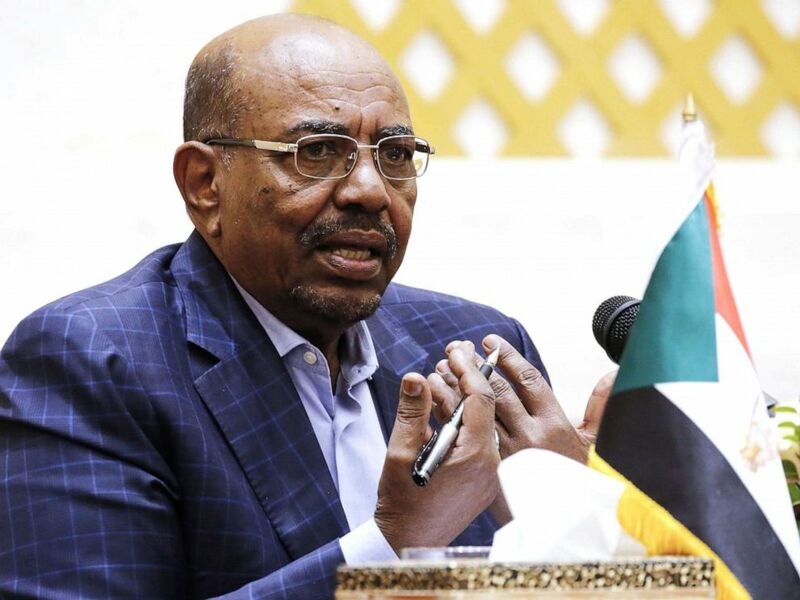 In this file photo taken on March 02, 2017, Sudanese President Omar al-Bashir gives a press conference at the presidential palace in the capital Khartoum. The association called on protesters to continue with their sit-in in front of the headquarters of the general command of the armed forces. 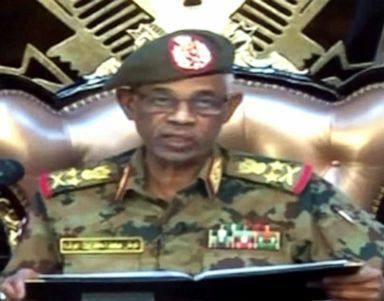 “Those who destroyed the country and killed the people are seeking to steal every drop of blood and sweat that the Sudanese people poured in their revolution that the shook the throne of tyranny,” their statement read. 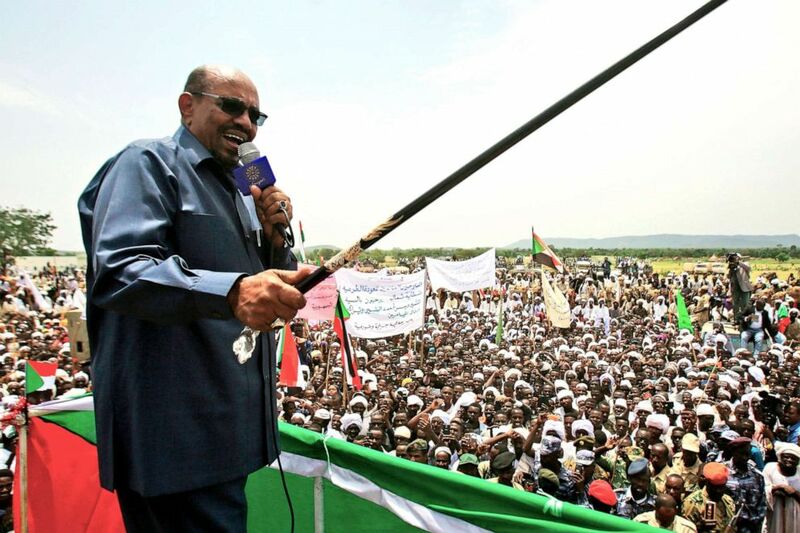 A grab from a live broadcast on Sudan TV shows Sudanese Defence Minister Ahmed Awad Ibnouf delivering a speech in Khartoum, announcing that President Omar al-Bashir was removed from power on April 11, 2019. 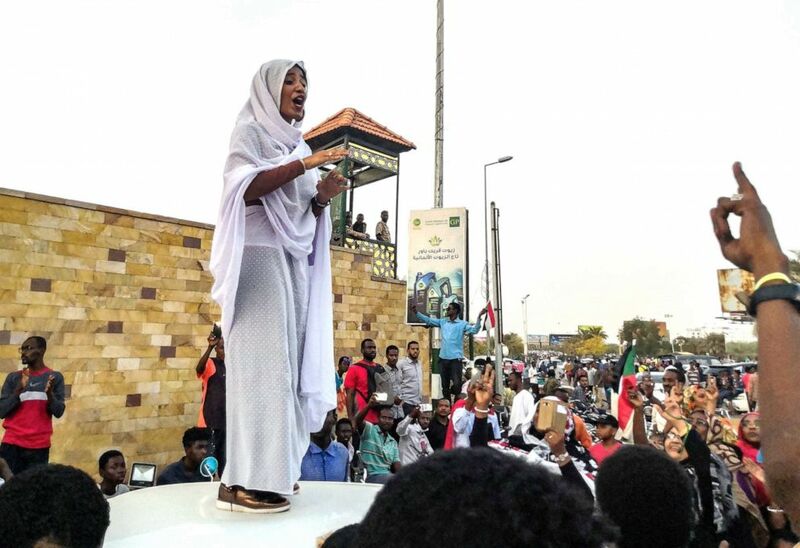 Alaa Salah, a Sudanese woman propelled to internet fame earlier this week after clips went viral addresses protesters during a demonstration in front of the military headquarters in the capital Khartoum, April 10, 2019. In this file photo taken on Sept. 22, 2017, Sudanese President Omar al-Bashir delivers a speech during a visit to the village of Shattaya in South Darfur.